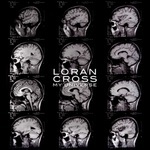 Sign up for Broadjam today to follow LORAN CROSS, and be notified when they upload new stuff or update their news! "my universe" on the Internet. 4 songs coming from my new album you can listen to, and download for free now !! 4 songs you are able to listen and download for free now ! !